The first easy—and fun—guide to the Enneagram, the fascinating and revealing method of understanding personality types, for the beginner, the expert, and everyone in between. 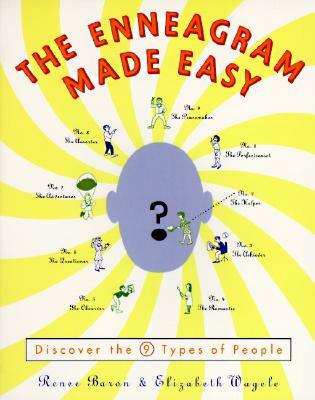 This witty and informative guide demystifies the ancient Enneagram system with cartoons, exercises, and personality tests that reveal our motivations and desires and show how to put that knowledge to use in our everyday lives. The Perfectionist: Motivated by the need to live life the right way, improve oneself and others, and avoid anger. The Helper: Motivated by the need to be loved and appreciated and to express your positive feelings towards others. The Achiever: Motivated by the need to be productive, to achieve success, and to avoid failure. The Romantic: Motivated by the need to understand your feelings and to be understood to search for the meaning of life, and to avoid being ordinary. The Observer: Motivated by the need to know everything and understand the universe, to be self-sufficient and left alone, and to avoid not having the answer or looking foolish. The Questioner: Motivated by the need for security, to feel taken care of, or to confront your fears. The Adventurer: Motivated by the need to be happy and plan fun things, to contribute to the world, and to avoid suffering and pain. The Asserter: Motivated by the need to be self-reliant and strong, to make an impact on the world, and to avoid being weak. The Peacemaker: Motivated by the need to keep the peace, merge with others, and avoid conflict. Elizabeth Wagele is a leading expert and one of the most popular writers on the Enneagram. Her published books include The Enneagram Made Easy; Are You My Type, Am I Yours? ; and The Enneagram of Parenting. A graduate of UC Berkeley, Wagele blogs regularly about personalities and other subjects. With wit, charm, and refreshing simplicity...Baron and Wagele creatively provide a nonthreatening way to understand the basic concepts of the Enneagram. To create a thriving love relationship, two people must understand and accept each other’s basic personality traits. Now Baron and Wagele have made this crucial task supremely enjoyable. Every couple who laugh their way through The Enneagram Made Easy will be the richer for it. — Susan Page, author of If I'm So Wonderful, Why am I Still Single? and Now That I'm Married, Why Isn't Everything Perfect.